These are unquestionably two of the most influential house designs of the 20th century, in turn created by two of contemporary architecture’s greatest figures. 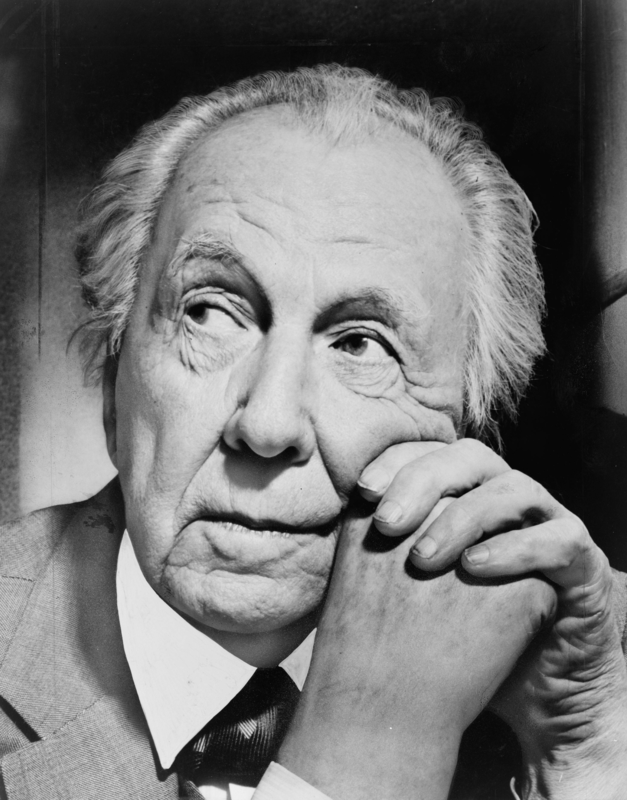 Today we are travelling to Pennsylvania and Munkkiniemito discover Fallingwater by F. LloydWright and the Aalto House. Welcome! 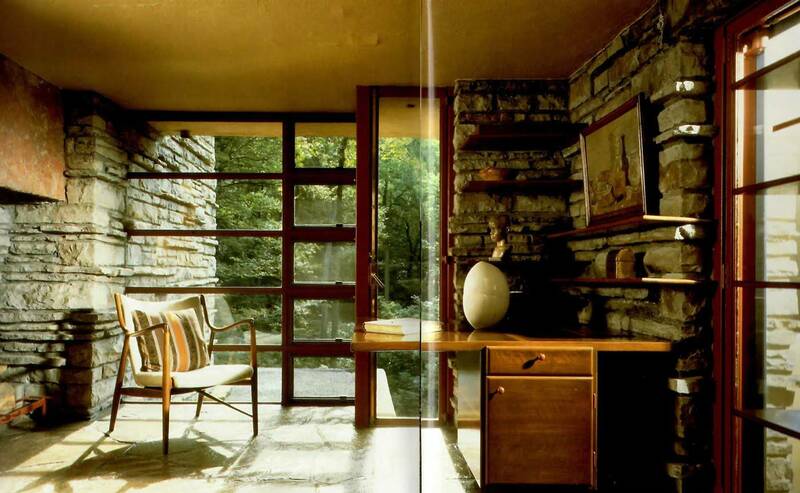 Fallingwater: a house in dialogue with Nature. The notion of organic architectureis the key concept underlying Wright’s design of the Kaufmann family’s home. Each decision is based on the objective of integrating the building into its surroundings, a stunning nature park in Pennsylvania. Each element blends perfectly into the landscape, to the extent that it is hard to imagine this location without the home designed by Wright. Rocks form the foundations for the house, several of which protude beyond the structure, forming part of the home’s living room. So why has this home exerted such a major influence? In the 1930s, Wright’s spatial conception of this building, essentially to avoid boundaries and restrictions, was very much ahead of his time. The glass walls that feature practically throughout the entire house afford fabulous views of the famous waterfall and its practically barrier-free setting. There are no divisions between the rooms or terraces, and the architect chose to feature amazing windows where walls would normally be placed. 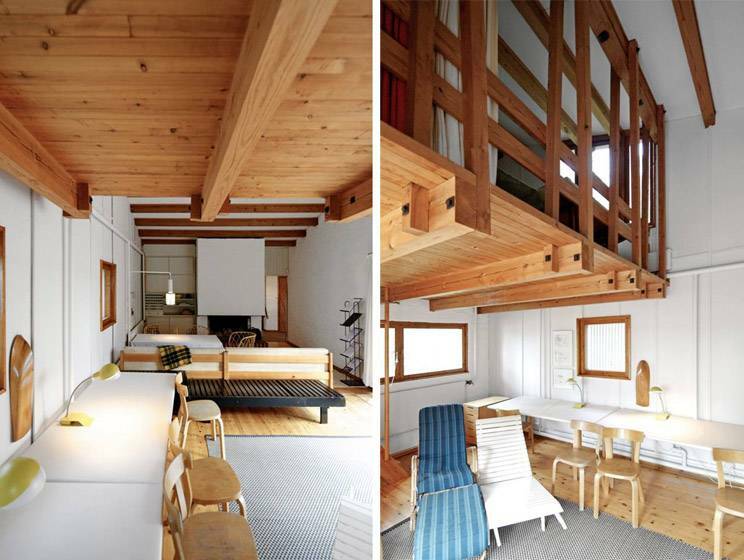 The notion of open spaces may be common in modern-day houses, but this one was built almost a hundred years ago! The core concept is essentially romantic architecturethat delves into the origins of humankind. 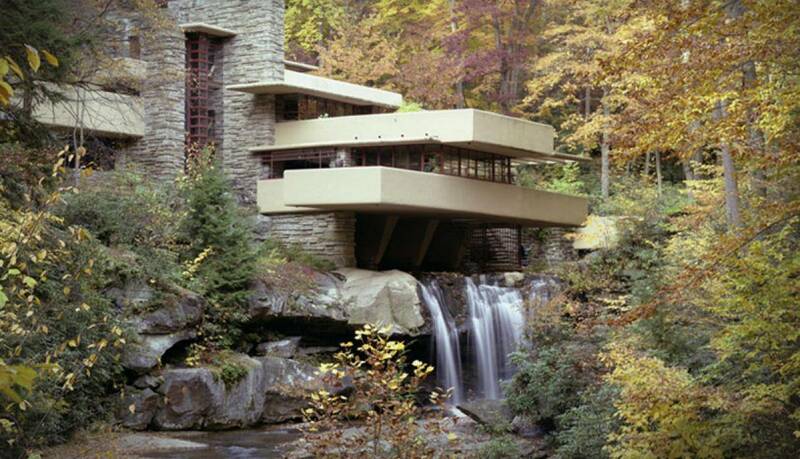 What is it about Fallingwater that Keraben Grupo’s loves? At Keraben Grupo nature pervades every aspect of its design and production processes. Over the years, we have created various collections that have explored the concept of ‘natural Romanticism’in depth. Nature has provided an endless source of inspiration and references: trees, plants, rocks and stones, etc. 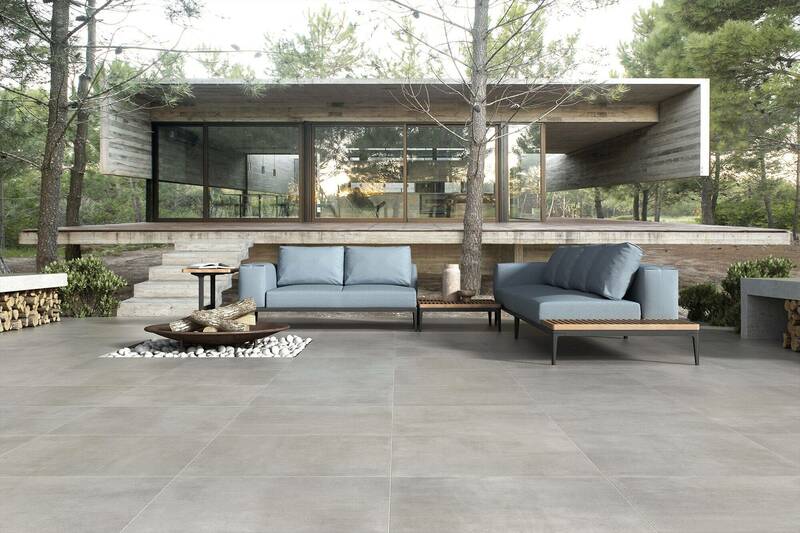 One such example is the Timeless collection by the Metropol brand,inspired by the forests of the Mediterranean. 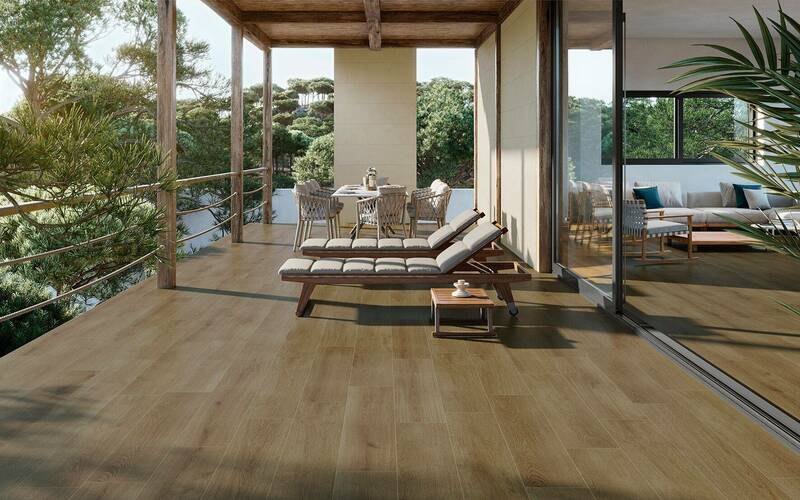 Wood-effect ceramic tiles that immerse us in nature, featuring the colours that characterise the noblest of trees: the oak. At Keraben Grupo, nature is always the finest source of inspiration. The Aalto House: an ode to modern living. 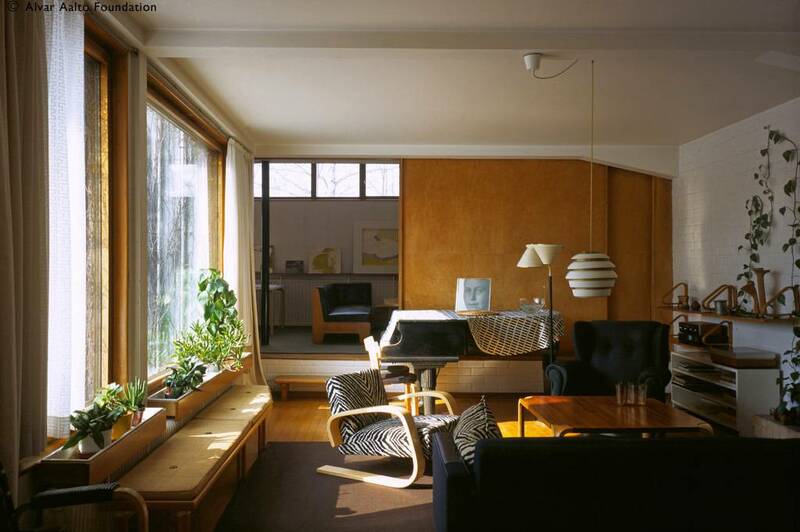 With a vision of housing that was way ahead of his time, yet which today is widely accepted, Van Aalto created a unique space for living and working. The entire project is based on an incredibly simple style featuring equally modest materials. A type of architecture classified as ‘Romantic functionalism’, characterised by an overriding preference for simplification and harmony. The orientation of each room has been meticulously planned in order to make the most of the often scarce Scandinavian light (Finland). This house presented a challenge for Aalto and his team in terms of the choice of insulation materials. Considerable research was required in order to adapt the building system to Helsinki’s extreme and highly changeable climate. The interior reminds us of a contemporary home. The ‘Scandi’ style furniture that has dominated interior design trends in recent years and the truly visionary concept behind the architectural structure makes it hard to believe that this is another building dating back almost a century. 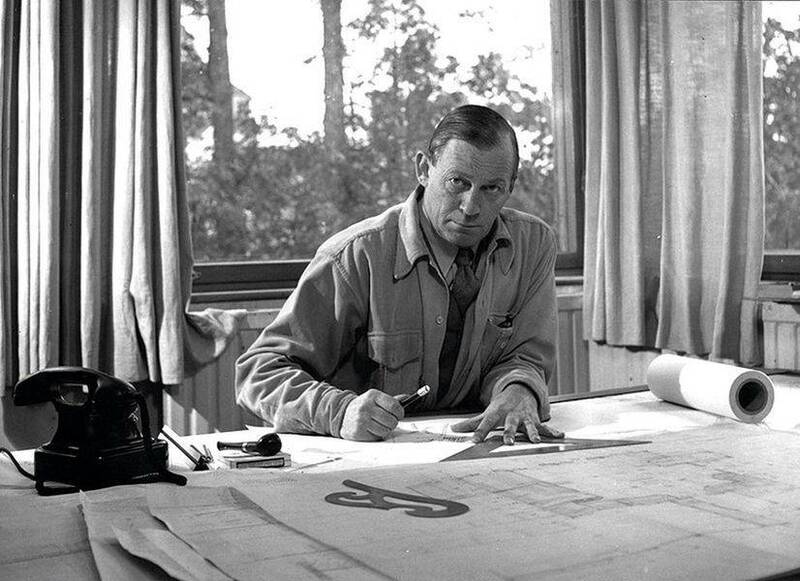 What is it that we love about the Aalto House? Its simplicity and ability to offer solutions for its adverse environment. At Keraben Grupo, our R&D Department is committed to working on new materials and improvements for ceramic tiles. One of the most recent innovations is the “Antislip Shoeless PLUS” system, a super silky-smooth finish for anti-slip porcelain tiles. The floor tiles with the Antislip Shoeless PLUS finish have successfully passed the slip resistance tests conducted by the Institute for Ceramic Technology (ITC) in terms of pendulum (C3), ramp (R10) and barefoot (A+B+C) requirements.